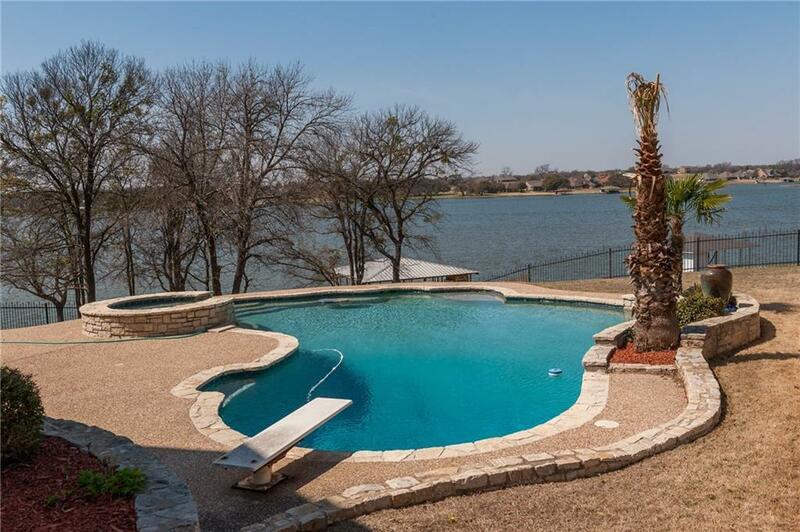 FABULOUS MAIN BODY WATERFRONT! This is such an awesome property! Please check out the virtual tour and walk-thru video so you can capture it all. The massive outdoor living area-kitchen is absolutely the best I have ever seen. Includes all major cooking equipment, plus sink, mini fridge, storage, television, fireplace, heaters and remote control blinds. 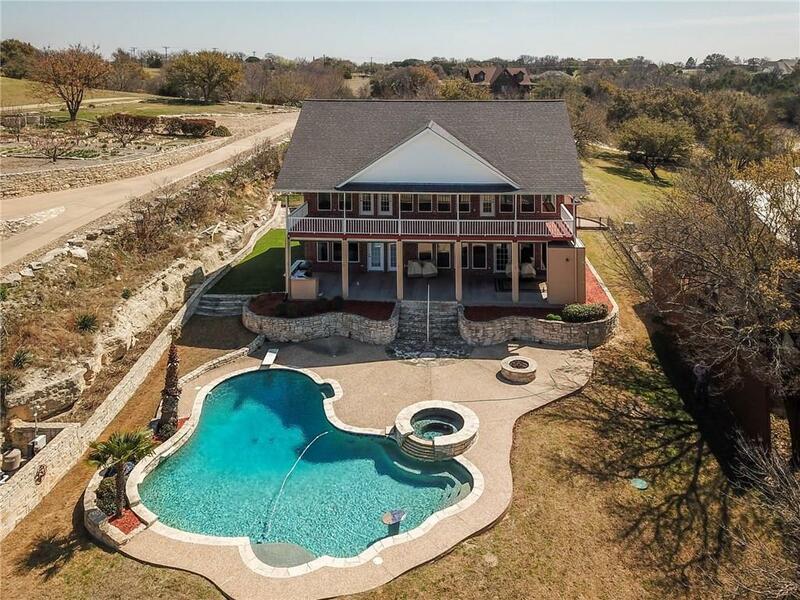 The pool area features diving board,hot tub and firepit. Boat dock with room for boat and jetskis+storage. Huge 3.5 car garage w-workbench and shelving. 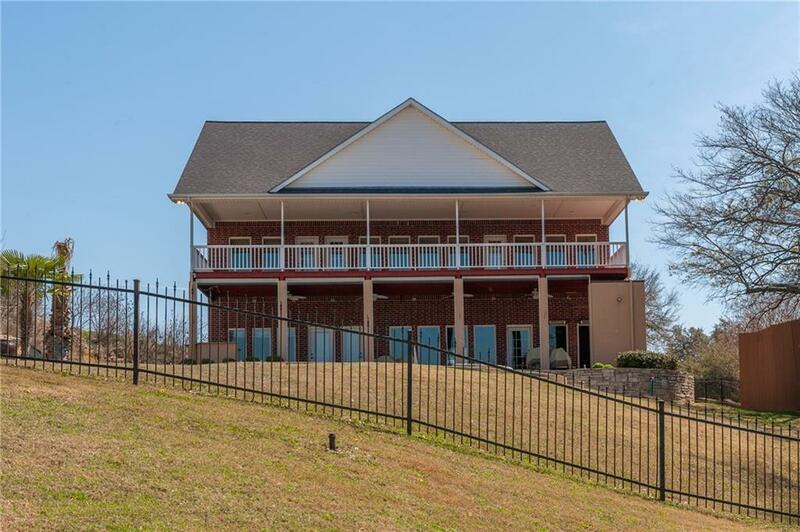 Upstairs you have a media room, 2nd living with wet bar, full length upper deck and 2 bedrooms. The master suite has closets galore, I call it closets in the closet, jetted tub and storage. 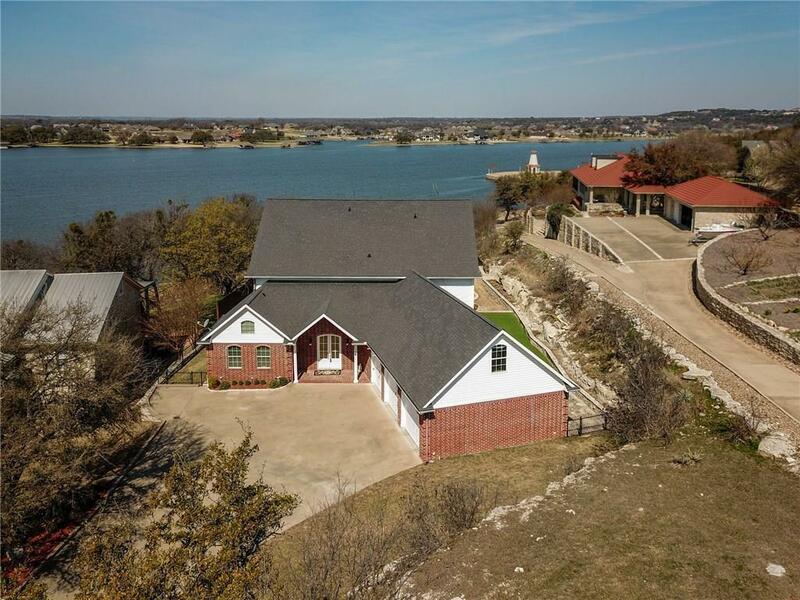 Offered by Evelyn Joseph of Re/Max Lake Granbury.